Cynthia is using Smore newsletters to spread the word online. 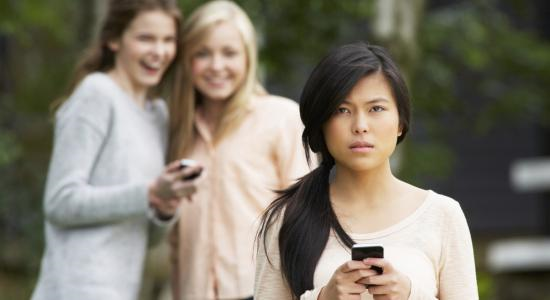 What is cyberbullying and why should you care? Cyberbullying is using the Internet, cell phones, video game systems, or other technology to send or post text or images intended to hurt or embarrass another person. Examples of cyberbullying include mean text messages or emails, rumors sent by email or posted on social networking sites, and embarrassing pictures, videos, websites, or fake profiles. Bullying has now found its way from the school hallways into cyberspace. Today's teens use technology more than ever, and this technology now provides people the means to exploit the innocent, commit crimes, and cause injury to others. It is time that everyone takes a stand to stop cyberbullying crimes that have caused more than 48% of kids to be cyberbullied. 68% of teens agree that cyber bullying is a serious problem. 81% of young people think bullying online is easier to get away with than bullying in person. Connolly, Ciaran. "Facts About Cyber Bullying" No Bullying Expert Advice On Cyber Bullying School Bullying. 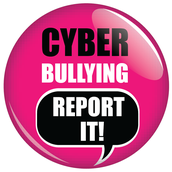 Accessed February 10, 2014, http://nobullying.com/facts-about-cyber-bullying/. Together, parents and kids can prevent cyberbullying and explore safe ways to use technology. The first step in preventing cyberbullying is to be aware of what your kids are doing online. Always talk with your kids about cyberbullying and other online issues regularly. Know what your kids do online and in texts. Learn about the sites they like and try the devices that they use. Encourage your kids to tell you immediately if they, or someone they know, is being cyberbullied. Explain that you will not take away their computers or cell phones if they confide in you about a problem they are having . Establish rules about appropriate use of computers, cell phones, and other technology. For example, be clear about what sites they can visit and what they are permitted to do when they’re online. 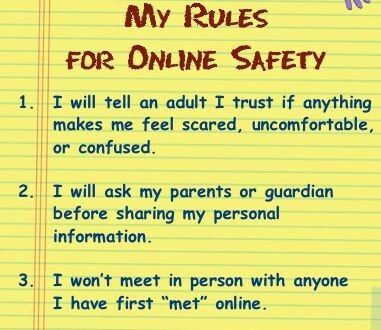 Show them how to be safe online. Students: Your school and classrooms will provide you with a list of approved rules and apps that are suitable for your use. Parents: Ask your child's school administrator on the policy that is in place for technology use in the school. The school will have an approved list of websites and apps that your child will be able to use while in school. Ask the school if they have developed a policy. When you suspect that cyberbullying is happening, do not fail to document an report this behavior so it can be handled appropriately. Cyberbullying often violates the terms of service established by social media sites and internet service providers. Review their terms and conditions or rights and responsibilities sections. These describe content that is or is not appropriate. Visit social media safety centers to learn how to block users and change settings to control who can contact you. 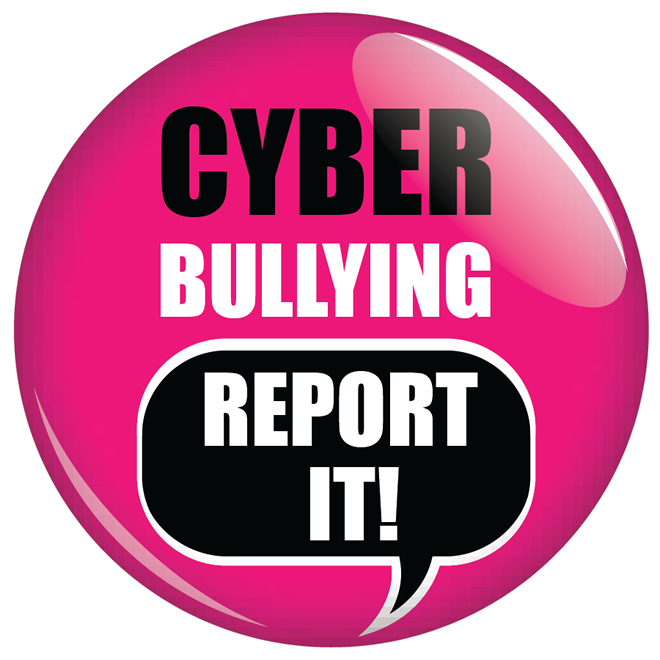 Report cyberbullying to the social media site so they can take action against users abusing the terms of service. Cyberbullying can create a disruptive environment at school and is often related to in-person bullying. The school can use the information to help inform prevention and response strategies. also cover off-campus behavior that creates a hostile school environment. Cyberbullying is not something to take lightly. Cyberbullying does not only cause embarrassment, and heartache, it can ultimately be deadly if you don't know the proper steps to stop it. It can reach you or someone close to you, Know what to do and how to help. Feeling Down? Talk to a trained crisis counselor. Text “DS” TO 741-741. Free, 24/7, Confidential.